In order to meet debt repayment targets, NAMA debtors and receivers have agreed, as part of their arrangements with NAMA, to a phased and orderly disposal of the property assets securing their loans. To end December 2017, NAMA had approved asset and loan sales with an aggregate value of €34.6 billion. NAMA’s approach is to release assets for sale in a manner which takes account of the market’s capacity to absorb them. 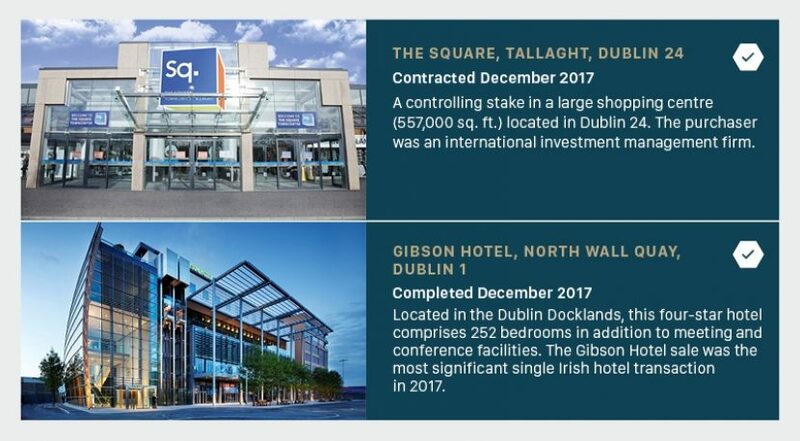 That strategy has been supported by the recent recovery of both the commercial and residential markets in Dublin from 2014, a recovery which has enabled NAMA to increase the flow of assets to the market and to achieve strong pricing on recent sales. In the period 2010-2012 property sales by debtors and receivers to date were heavily influenced by liquidity conditions in various markets and by the attractiveness of various asset classes to investors. 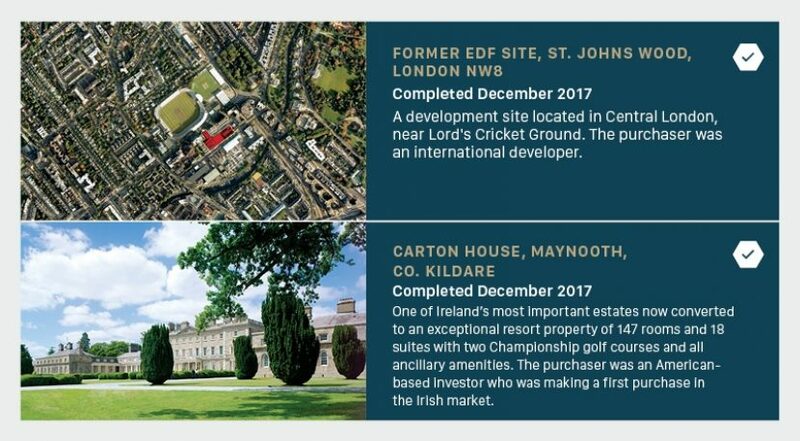 Approximately 75% of sales had been in Britain to end-2013, particularly in London, where prices have increased substantially since 2009 – the date the associated loans were acquired by NAMA. 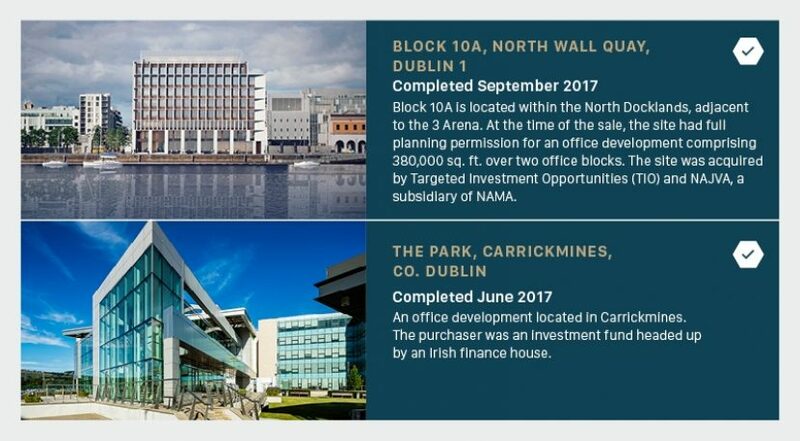 The steady recovery of the Irish economy has resulted in a notable improvement in investor interest towards Ireland, enabling NAMA to increase the flow of assets to the market and to achieve strong pricing on recent sales. In 2014, 44% of all disposal receipts were generated from the sale of Irish properties and loans, and this increased to 66% in 2015. Of the total NAMA sales proceeds in 2016, a total of 69% was generated from the sales of Irish properties and loans.